As Real Ale Brewing Co. celebrates 20 years of brewing in Texas this year, they’ve partnered with local maltsters at Blacklands Malt to produce the next limited-release beer in their Brewers’ Cut series: Project #23 ESB. 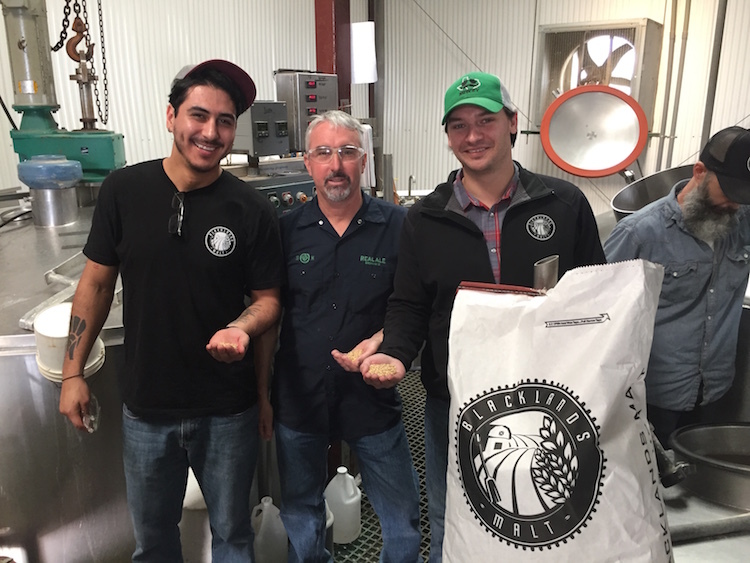 “Working with a small, family-owned Texas company whose focus is bringing quality local ingredients to Texas craft brewers is an exciting opportunity for us,” says Brad Farbstein, President/CEO of Real Ale. A longtime staff favorite at the brewery, Real Ale’s ESB has had a diverse upbringing as a child of multiple collaborations. The first version of this classic English ale was a draft-only offering adopted, at one time, by the Alamo Drafthouse as their house beer. Round two brought Real Ale and Austin metal greats The Sword together for their first collaboration, Iron Swan. A new recipe, designed specifically to showcase the complex malt character of Blacklands’ North American Pale Malt, highlights the unique bready and biscuity notes that this malt is known for. Accented with English crystal malt for color and a wisp of caramel sweetness, the Blacklands base is the star of the show. East Kent Goldings and Bramling Cross hops bring elements of herbal citrus and a spicy fruitiness to balance the beer. Project #23 ESB is available now for a limited time in six-packs and on draught in select stores and bars throughout Texas. For the latest updates from Real Ale Brewing Company follow our adventures in beer on Facebook, Twitter and Instagram. Even with a portfolio chock full of variety, our brewers are always excited about the next beer they want to brew. The Brewers’ Cut series gives our talented brewing staff an inspired outlet for these beers. With the creation of these recipes, both our team and our fans win. About Real Ale Brewing Co. Working in the Texas Hill Country since 1996 from a foundation of time-honored brewing tradition, Real Ale believes minimal processing produces maximum flavor. In addition to making beer that is unfiltered and unpasteurized, we never use preservatives or artificial colors. We believe doing less to the beer actually creates more complexity, aroma and flavor. We only sell Real Ale in the great state of Texas because we’re Texans, we care about Texans, and we want to make sure the people we care about have the highest quality beer possible. Come on out to the brewery to visit our tap room and take a tour, open every Thursday, Friday, and Saturday 11 am – 5 pm. Beers are available for purchase in the tap room starting at 11 am and free tours happen on Friday and Saturday afternoons.